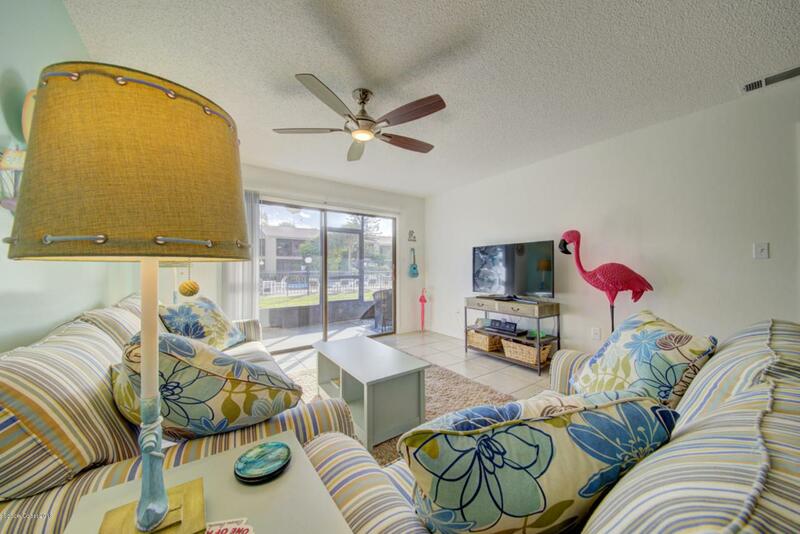 Come and feast your eyes on this upgraded, renovated and rejuvenated condo within 20 feet to the private community pool! 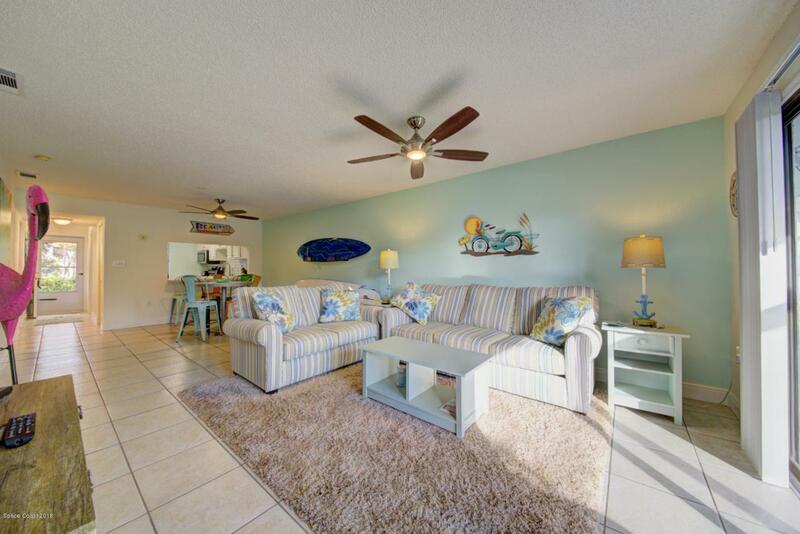 This fabulous retreat is truly turn-key, allowing for immediate rental equity, full time beach living, or that vacation getaway you've always wanted. Both bathrooms have been completely updated with a light and bright, refreshing new look. Upgraded baseboards, 2 panel doors, and new fans and lights throughout. New vinyl plank floors in bedrooms, custom painted interior and back patio, also with new fans and lights. The cabinets in the kitchen have been ''antiqued,'' and backsplash added, all completed within 2 years! 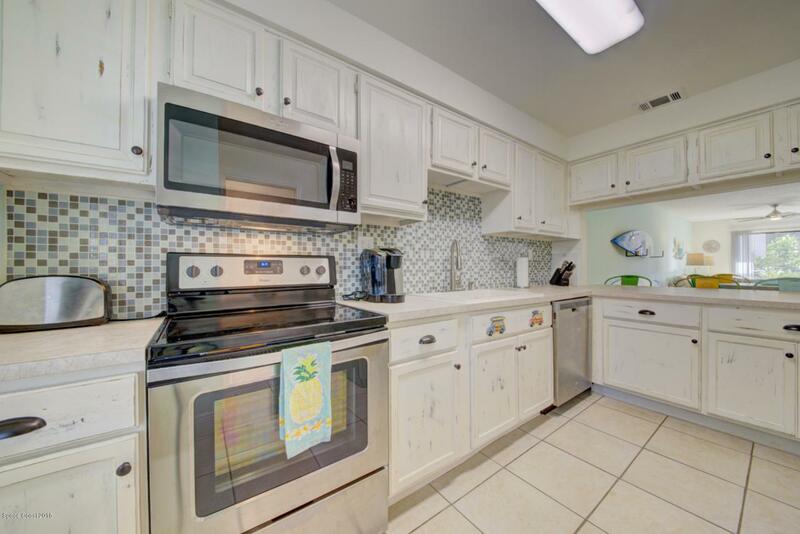 All appliances are within 2 years old AND this unit comes fully furnished! In a quiet community and only steps to the river, make this beauty yours today! Listing provided courtesy of Blue Marlin Real Estate. © 2019 Space Coast Association of REALTORS®, Inc. The data relating to real estate for sale or lease on this web site comes in part from the Brevard County Broker Reciprocity Database. 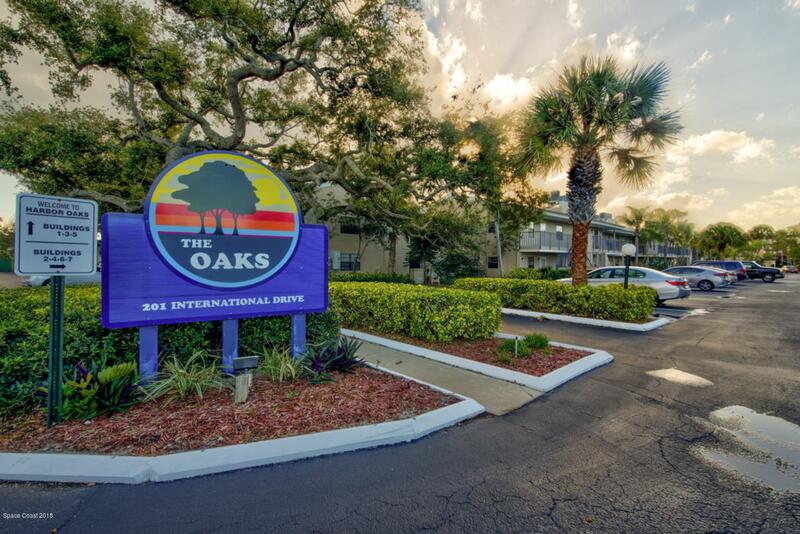 Real estate listings held by brokerage firms other than Blue Marlin Real Estate are marked with the IDX logo and detailed information about them includes the name of the listing broker. Information is deemed reliable but is not guaranteed accurate by the MLS or Blue Marlin Real Estate.IDX information is provided exclusively for consumers' personal, non-commercial use and may not be used for any purpose other than to identify prospective properties consumers may be interested in purchasing. Data last updated: 2019-04-24T19:09:39.46.